These are the moments that try a reviewer’s soul. I am at a crossroads, and either course I take will ultimately lead to failure. I am not a fan of Goodbye Mr. Chips. I have never been, and I have given it many tries, as recently as this week, watching Warner Archive Classic’s latest release of this much-loved classic from the much-loved year of 1939. It’s considered one of the ten best films of that amazing year, or as the movie poster heralds; “the best film of any year.” (My emphasis). It garnered its lead, Robert Donat, a Best Actor upset over Gone With the Wind’s Clark Gable. It is fuzzy and warm and utterly “delightful.” It is like your favorite warm blanket on a cold winter’s night. But it has absolutely nothing to offer a modern audience. Your hate mail may commence…now. If you love Goodbye Mr. Chips then you will have utter contempt for my opinion. And I get it. (I also get that people want to beat me mercilessly for disliking Star Wars.) Mine is not only an unpopular opinion, it is one that has no business being aired at all. There’s no place for dissenting opinions of George Lucas’ “masterful” trilogy, and there is no place for a film buff to not love Mr. Chips. But The Retro Set has (perhaps unwisely) given me a forum, and although they may revoke my Blogging License, I’d still like to offer up my thoughts. Upon “Chips’” return to the school, the faculty is amused by the idea that he should be married, least of all to a beautiful and charismatic woman much younger than he. She charms the faculty and the school boys, and brings such joy to Chips’ life that he learns to meld personality and empathy with the skill to educate, and becomes the inspiration and favorite teacher of all the staff and students for decades to come, until his death. Throughout the film, we see the many students he’s influenced, and the countless boys who become well-grounded and disciplined men thanks to his tutelage and kindness. 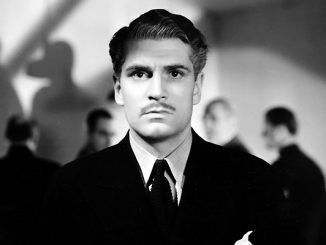 Robert Donat’s performance, for me, is problematic. The role demands he age 50 years. The actor was 34 years old when cameras rolled, and he looks more like 25. But he overplays his innocent “youth,” as he overplays the “old” headmaster he is to become, all huffing and puffing, and affecting an old man shuffle. Greer Garson is a breath of fresh air, and this was her first leading role at MGM, but sadly (SPOILER ALERT) she is not in the film nearly as long as you would hope. Paul Henreid (credited here as Paul von Henreid) new to films at the time, plays Chips’ only friend. He is, as usual, suave and effortless. I actually find the film (and story) unnecessarily cruel. A shocking development , and melodramatic plot point turns Chips world upside down, and his decision to show up for his scheduled class doesn’t play as a man committed to his work, but as a confounding and unbelievable choice . That the film is only halfway through, and continues to tell Chips’ story for years afterwards, gives you endless time passages that have no emotional impact, since the proverbial “dog” has been “kicked” so early on. The audience is just waiting for Chips to die. (It is called, after all, “Goodbye” Mr. Chips) The framing device, beginning with the old man looking back on his life, tells the story and impending mortality of Chips with the subtlety of a ball-peen hammer. Goodbye Mr. Chips is not a film you should ever expose to someone you are trying to “woo” over to classic films. 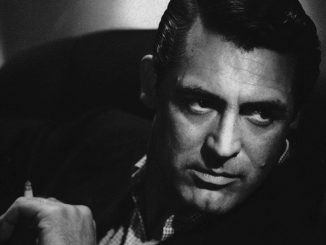 It carries with it all the clichés of “old movies” that keep nascent filmgoers away from the classics; a predictable plot, creaky performances, a dragging pace and sentimentality that no longer offer any familiar touchstones to modern sensibilities. You may as well show a newbie the Best Picture winner for 1933, Cavalcade. (Don’t get me started on that film.) They would, understandably, go running off, screaming into the safe embrace of CGI. It’s definitely not for everyone. And for those who would find it interesting, they are probably classic film lovers who have already seen it. So again, I am at a crossroads. If you’ve seen Goodbye Mr. Chips, and love it, my apologies. If you haven’t and you are interested in the works of Robert Donat, or that period at MGM when the fetishism for all things “British” motivated them to acquire Denham Studios, then it will be an amusing curio. For everyone else, you have been warned. Or, if you really hate yourself, watch the musical remake with Peter O’Toole and Petula Clark. Goodbye Mr. Chips (1939), directed by Sam Wood and starring Robert Donat and Greer Garson, is available on DVD through the Warner Archives.